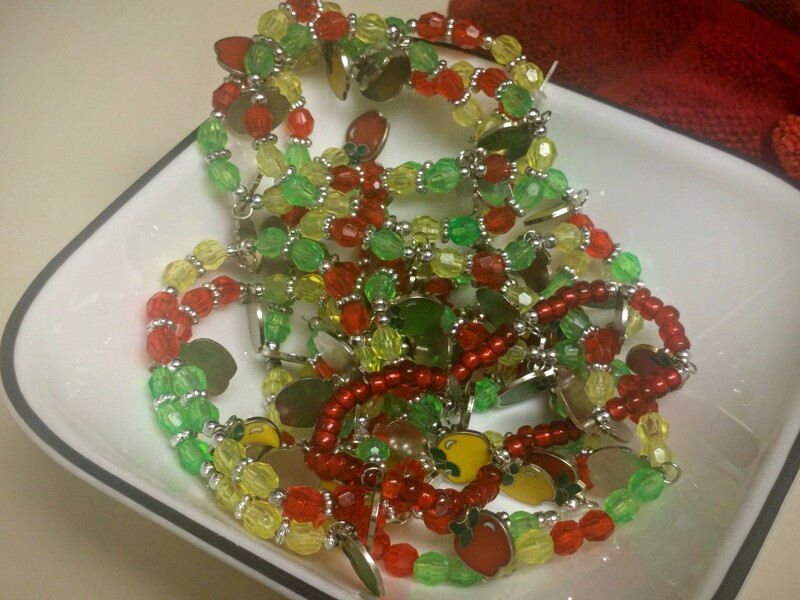 Once upon a time, I really enjoyed stringing beads together to make cute and awesome bracelets on simple stretch cord. But then I realized I had too many crafts and hobbies and reluctantly pared down my hobbies to three: digital scrapbooking, crocheting, and sewing. Goodbye, paints and Christmas ornaments — for a few years, I painted and donated Christmas ornaments to friends and nursing home residents. I bid farewell to my bracelet supplies — ended up handing my supply over to Charlie’s sister. Sometimes I think about taking up jewelry making whenever I visit a craft store and accidentally walk down the jewelry aisles. But then I look at the all the supplies to create beautiful jewelry and immediately change my mind. 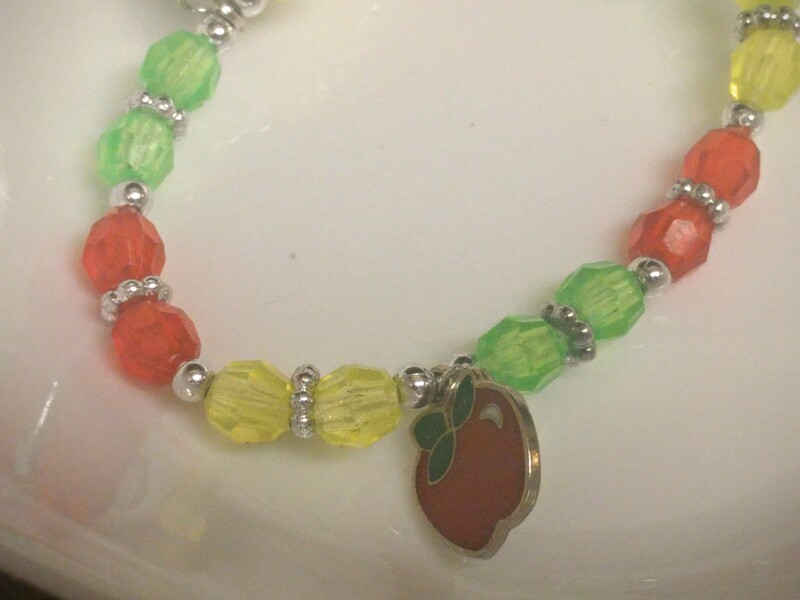 Anyway, I volunteered to string together some cute apple charm bracelets for the apple orchard this season. 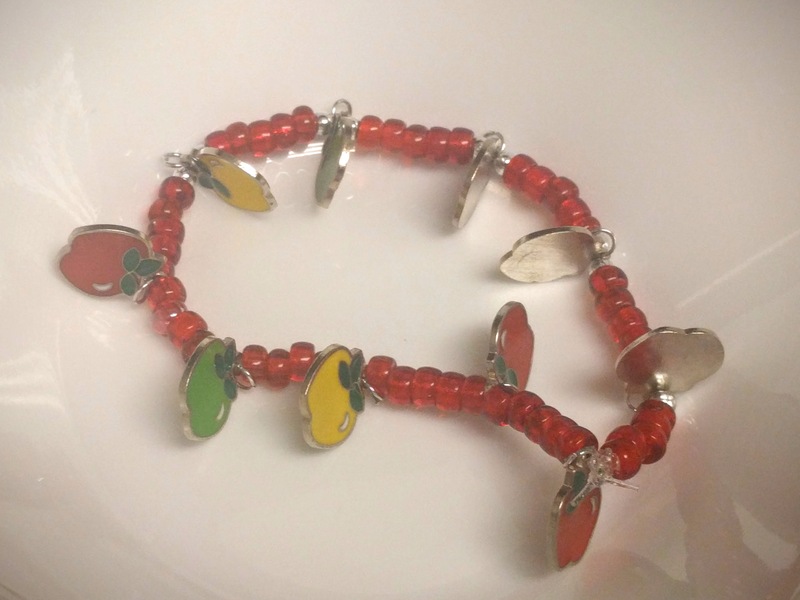 The owner had received some DIY apple charm bracelets and had asked me to make them to sell at the shop. Of course, I said yes. Ugh. I honestly believe I dropped my first bracelet five or six times before I successfully tied the final knot. I am completely OK with my long-ago decision to give up bracelet making because I am swearing up a storm this time around. The pre-cut stretch elastic included in the DIY package was VERY difficult to work with because my knots wouldn’t stay knotted. Ugh! 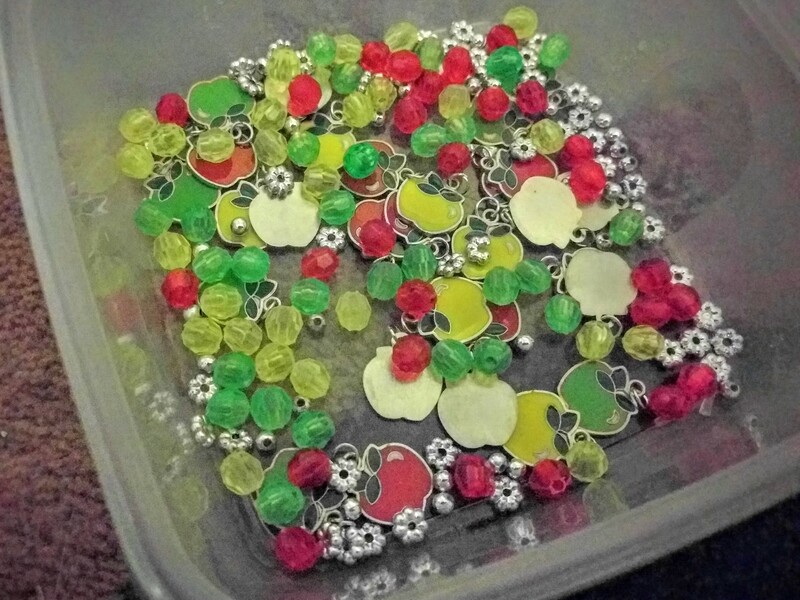 Even with a dot of glue, my knots came undone and the beads flew everywhere. I remember happily using a certain stretch cord all those years ago, and I found the same package at a craft store a few days. Yay! Considering young girls will probably eye the cute little bracelets, I chose the sparkly stretch cord. What a difference the new stretch cord makes!!! I whipped out six or seven bracelets in an hour. I was given some leeway, meaning I didn’t need to stick to the package pattern and could create different patterns. An hour later, I used the rest of the beads to create another six bracelets, and I’m pretty happy with how the bracelets turned out. I hope people who shop at the orchard store will find them charming and buy a few. However, I don’t plan to pick up the hobby of jewelry making any time soon. 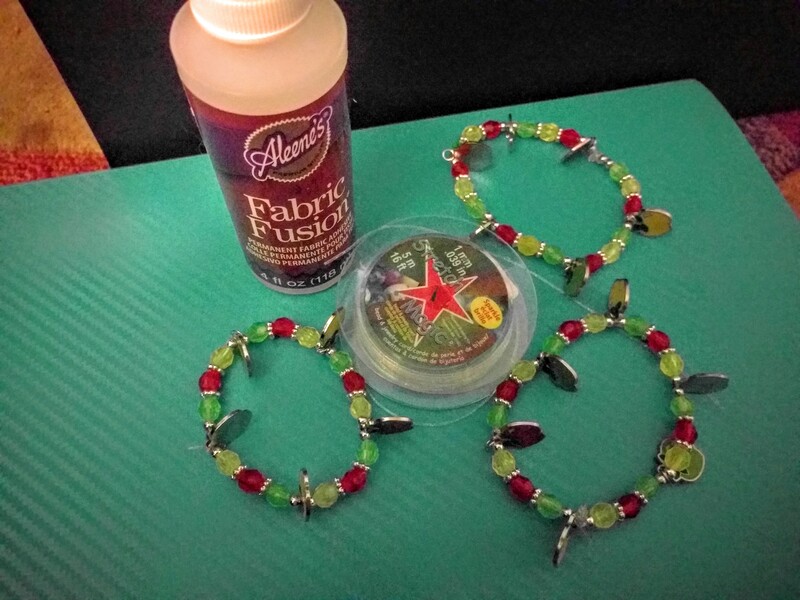 This project scratched the jewelry making itch and gave me a good reason to stay out the jewelry aisles at the craft stores. The bracelets are really cute. I agree so hard to make but they end up looking awesome. nice job. The bracelets are really charming. Good job.